In order to keep their love alive, they have to go their separate ways. That’s Julia’s plan to save John from her own family. John is now discovering and developing his abilities and that’s something that Novak, Julia’s father, can never know about or he will take him away from her. But throughout their parted ways, Angus makes an appearance back in Julia’s life, encouraging her to find out more about the Puris, risking her relationship with John. I have to be honest, I liked the first book better than this one! Not gonna lie, I had really high hopes for this book after being so consumed by Select, so the minor thing is enough to disappoint. But basically, the major thing for me is that, in Select, they spent more time together than in Select Few. In this book, they spend most of the time apart from each other to keep them off of Novak’s radar. And we still have Angus, traveling with Julia. Which was also something that bothered me quite a bit. I mean, it’s not the worst thing ever since there’s no cheating but I guess their relationship as friends can be seen as something that is “more than friends”. But don’t fret about this, throughout the book you get to see her point of view on this matter and you will see that there’s nothing to be worried about when it comes to her feelings towards Angus. Now that I have all the things that bothered me out of the way, let’s talk about more interesting things, like John’s abilities… I always loved how Julia could read John’s mind and so it was really cute to see how John now controls that. Julia can only read what John’s lets her read. Like, he blocks her out of his mind if he wants. It was fun, honestly! Besides that, I also enjoyed to see her journey to find her mother and to figure out how a Puris can be with a person that is not a Puris, like her father did with her mother, so she can be sure that there’s no problem in building a life with John, a person who supposedly is not a Puris. This book can’t standalone, you have to read Select in order to read Select few, otherwise, you won’t connect all the dots. Also, I’m not sure if this is the end of the series or not. The book doesn’t end with a cliffhanger but at the same time, there’s still so much that can happen to them now that they’re finally a couple. Fingers crossed for a third book people, fingers crossed! 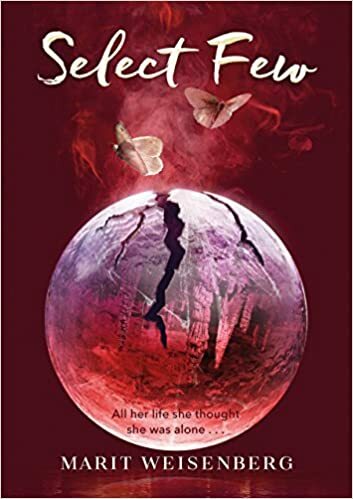 Select few is the new installment of Select, the intense and suspenseful series where fantasy meets reality, and a genetically-advanced human falls in love with a regular person against all odds. 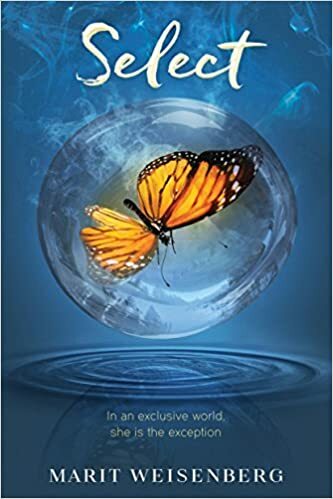 For all fantasy/sci-fi lovers out there, here’s your (and mine) new YA favorite series!